Style is truly an elusive term. In action sports, especially sports that are judged (which is to say most of them), style is, quite simply, everything: it’s the body positioning, the fluidity, the speed, the technique that all combine to create the aesthetic look of an athlete in motion. In short, like fine art, style is tough to define, but easy to see when it’s in front of you. How do you master that look, that feel? 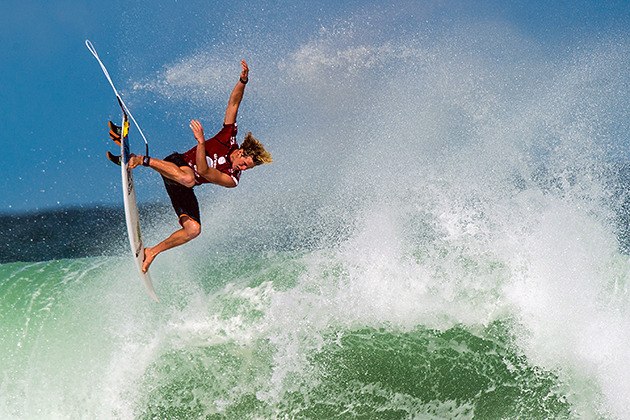 John John Florence and Pedro Barros, kings of style in their respective sports, offer a little advice. Style is truly an elusive term. As it applies to the everyday it can come off as an indication of something on the surface level, shallow, even hollow—something we should avoid getting too caught up in. But as passionate fashion designers would attest, style actually goes much deeper: it’s the look, the feel, the understanding of visual nuance that creates an aura. In action sports, especially sports that are judged (which is to say most of them), style is, quite simply, everything: it’s the body positioning, the fluidity, the speed, the technique that all combine to create the aesthetic look of an athlete in motion. In short, like fine art, style is tough to define, but easy to see when it’s in front of you. While Barros believes that good style is something you’re born with, athletes today are spending thousands of dollars to improve theirs. Young surfers and skaters work with expensive coaches during video sessions, discussing nothing more than body positioning and flow, how smoothly one comes out of a turn and goes into the next maneuver. Video analysis allows skiers or snowboarders, or anyone else for that matter, to slow down and look at how they’re presenting their game to judges. Because, in these sports, judges want every maneuver to appear effortless. The less it looks as though an athlete is trying, the better. Ever heard Sal Masekela say a halfpipe-rider has beautiful style during the X Games broadcasts on ESPN? Well that style is both winning contests for athletes, and making the product attractive to a television audience. ​But what does style mean for the nine-to-fiver like you and me? We just want to catch a few waves after work, ride the park during a night session on the hill or maybe draw a line at the bowl in the local skate park. What does working on style do for us? And how much should we think about it? Sage advice, and you can take more from it: Style is inherently about your natural tendencies with body positioning, tendencies that come out when you’re expressing yourself in motion—relaxed, bent knees, a straight back that aligns the spine over the center of the body—no matter what sport you’re passionate about. ​Florence himself is a master of “not forcing it.” Last year in the Hurley Pro Trestles event in Southern California, he was in the zone, carrying speed through sections and throwing airs in such casual fashion, he was the talk of the surf media, scoring five nine-point rides in Round Four. All because he was able to keep his speed and momentum, and not force the action. Not forcing the action is an absolute key to good style. Most surf, skate and snow professionals would rather have us recreational athletes simply ride the mountain or gracefully carry speed down the line on a wave rather than force a turn or trick without the proper momentum. Tricks require speed and if you don’t know how to carry it before attempting bigger maneuvers or turns, you tend to bog, or stop completely (or wipeout if you’re carrying too much speed). But without the proper momentum, your body can get into awkward positions and things look out of whack. Or worse. “When you start forcing things,” Florence says, “that’s when you get hurt.” So maybe when you’re out there working on your game, think less about going big, and more about keeping it smooth and in rhythm. Just ride straight and get comfortable with your equipment.